RIVO Gin is made by distilling 12 select botanicals, including rare ingredients handpicked in the meadows surrounding Lake Como. Three times a year, expert botanists walk miles along the lake’s mountainous slopes to harvest them. Once they’ve found the right spots, they pick only the best botanicals by hand. It takes lots of time and skill, but is also a deeply satisfying labor of love. Foraging is the art of searching for botanicals in the wild. It reconnects you with nature and the places where our ingredients are taken. Most excitingly, the combination of these special botanicals have never before been distilled into a gin. Created by two gin-loving beekeepers from Belgium. The raw honey comes straight from the beehives of our local urban beekeeper community. They install and manage beehives across Belgium providing delicious local honey and all the pleasures of urban beekeeping. Mauro Vergano is a retired chemist who started producing Chinato in the ‘70’s for his family and friends. His passion for the traditional Piemontese digestivo turned from a hobby into a commercial venture albeit on a very small scale. A brief description of the production cycle which all Mauro’s products share: The first step is the preparation of the extract or “concia”. This is done by leaving a mixture of chopped herbs and spices in alcohol for about 20/30 days. Then the extract is filtered and left to age for a few months. The second step is the actual preparation of the product. To make the product I mix the extract, sugar and alcohol. The last step is clarification followed by filtering which produces a clear product with long-term stability. Maidenii Vermouth is a collaboration between French wine maker Gilles Lapalus and Australian bartender Shaun Byrne. Maidenii is a result of Shaun and Gilles’ abiding passions for pioneering in the field of alcohol production. Shaun has been tinkering behind the bar of Melbourne martini haven Gin Palace for over 5 years. This has helped him nurture his interest in capturing and enhancing natural flavours, arising in house-made concoctions and a sophisticated understanding of palates. Born of a French wine family, Gilles has wine flowing through his veins. He crossed the globe to take over the position of Winemaker at the dynamic Sutton Grange Winery. The Company Il Gusto della Costa transform and pack their products using only the finest citrus fruit harvested at the right time In a number of plots of land on the Amalfi Coast. 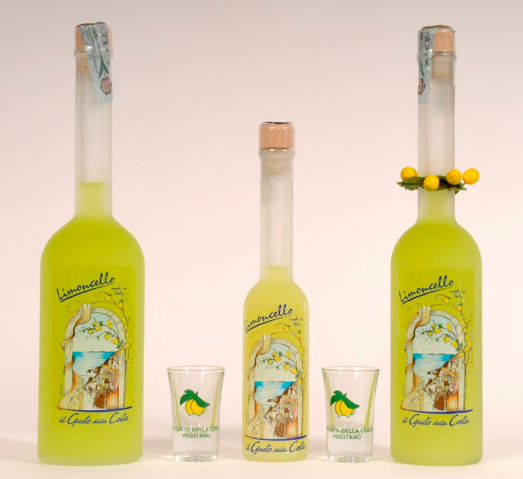 The Limoncello is processed using traditional methods that enhance the aroma and perfume. il Gusto della Costa produce their Limoncello via infusion of the skins of organic lemons from the beautiful Amalfi Coast. We recommend that you drink it cold, not frozen.